The news are so depressing: natural disaster on top of ongoing war in the middle est on top of corrupted politicians...thank god for Riccardo Tisci for distracting me with some of the best shows in the business. 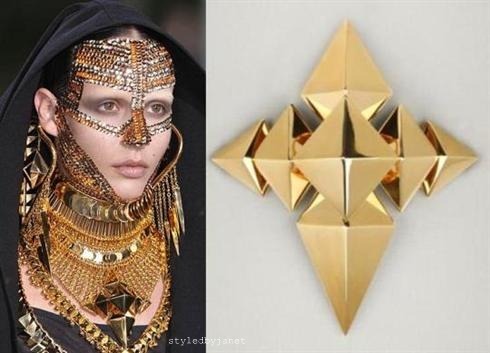 His Fall 2009 Couture presentation, which was one of his finest IMO, featured some oh-so-amazing costume jewelry and accessories. Interestingly, it also had a middle east meets statue of liberty theme.